These days, it is not unusual to look up at a business office or a light pole in a parking lot and see a security camera. A good security camera deters criminals, and helps businesses to catch dishonest employees in the act of stealing from the company with employee monitoring software. The growing availability and use of surveillance cameras has been a small business trend for years, but there were some new trends in 2017 that will help to take security cameras into 2018 and beyond. One of the biggest issues with business surveillance cameras over the years is the lack of good picture quality. Unless the camera was able to get a clear view of a perpetrator’s face, then getting an image that authorities could use was not guaranteed. Things started to get better when color cameras were introduced, because the color cameras had slightly better resolution. In 2017, the move towards higher picture quality has accelerated and companies are starting to make high-definition surveillance cameras more widely available. With proper placement of a higher resolution camera, retail industry businesses are catching more crooks in the act than ever before. While registering surveillance cameras is not new, it has become much more of an issue in 2017. With more violent crimes being committed near businesses with security cameras, government agencies are making it mandatory for businesses to register their cameras in the event that a crime is committed close to the business. The number of municipalities requiring businesses to register their cameras is expected to spike in 2018, and it is a trend that will continue for years. Law enforcement officials are using a combination of municipal and corporate surveillance cameras to catch more criminals and solve more crimes. With more wireless cameras utilizing standard IP addresses to allow access to their images and the business analytics data they provide, the security of those cameras has become a concern. In 2016, the trend towards utilizing cloud management companies to secure access to surveillance cameras started to become extremely popular. As cloud providers have increased their own security protocols, this has allowed surveillance cameras to also become more secure. In 2018, companies of all sizes are expected to transition more of their surveillance camera data to cloud providers who are starting to offer enhanced retail and office security programs specifically for these applications. The ability for cloud providers to prevent hackers from getting into cameras will be a significant relief to companies that rely on their surveillance systems to protect valuable corporate assets. In a bit of a science fiction twist, more security product developers started offering mobile surveillance cameras to the corporate and residential markets. The cameras are installed into robots capable of detecting sound and providing ample lighting to areas where there could be trouble. In 2016, a company called Knightscope received $14 million in start-up funds to develop and produce more intelligent robots that would be capable of more complex surveillance duties. The CEO of Knightscope, William Li, envisions a world where robots are providing precise and efficient security thanks to high-definition surveillance cameras. The company has started development of two robots already, and it is expected to be rolling out several new models in 2018. Throughout 2016, the city of New Orleans added nearly 200 new surveillance cameras to keep an eye on schools, hospitals, and other public areas. New Orleans is just one of many cities throughout the country that has been able to discourage crime and catch more criminals thanks to new cameras. It is a trend that will continue in other cities throughout 2016, and grow into 2018. Security continues to be an important topic in the corporate world, but not all of the talk is about network or data security. More companies are utilizing surveillance cameras to protect corporate assets in a variety of ways, and the cameras are proving to be extremely effective. The best security cameras are the ones that keep you and your property safe, just as the best corporate event ideas are the ones that people will enjoy. However, there are some models that offer superior surveillance services. Consider the ones mentioned above for the best security practices. 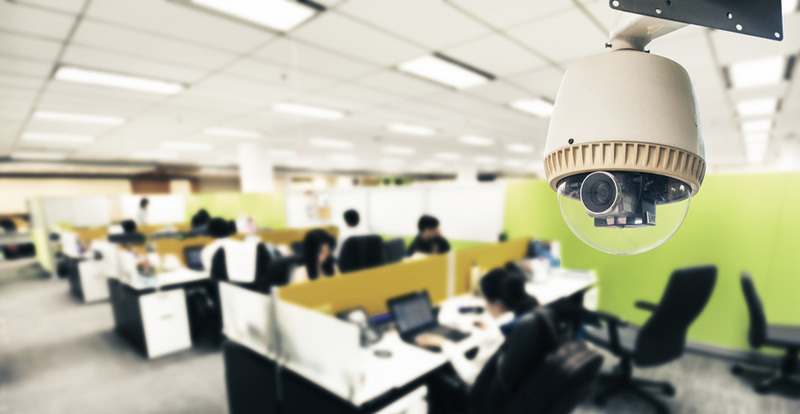 The technology surrounding surveillance cameras has been developing quickly, and there are many new support elements in place to make corporate cameras more secure and reliable. The trends in security that started in 2017 are going to develop even more as 2018 arrives, and that means more sophisticated but effective surveillance methods for companies to rely on.